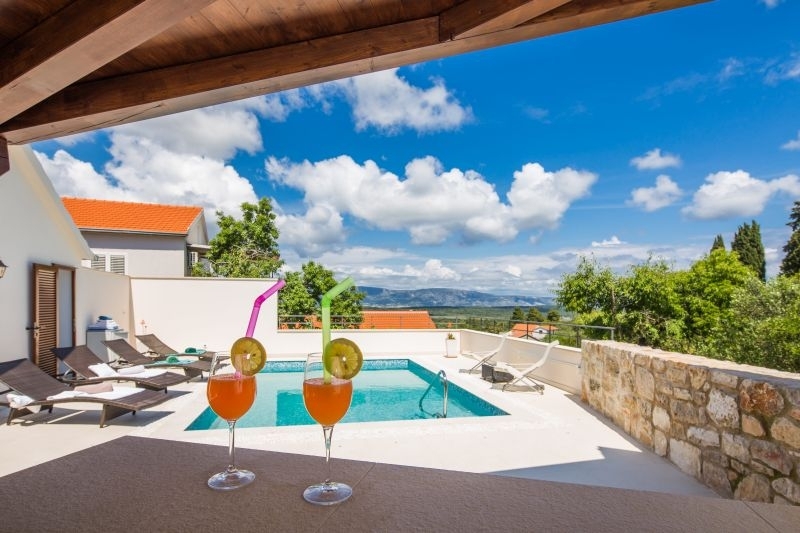 Villa is located in the charming village of Dol, approximately 20-minute drive from the town of Hvar. 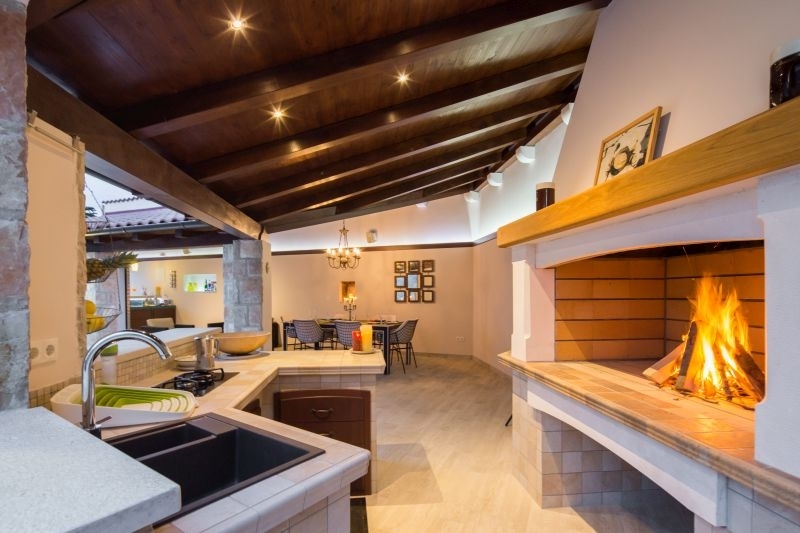 Villa has amazing, highly stylized interiors and exteriors filled with beautiful and warm details. High old stonewalls around the property not only provide privacy but also give the feeling of security and exclusivity. Villa is one of the oldest stone houses in the quiet village of Dol. 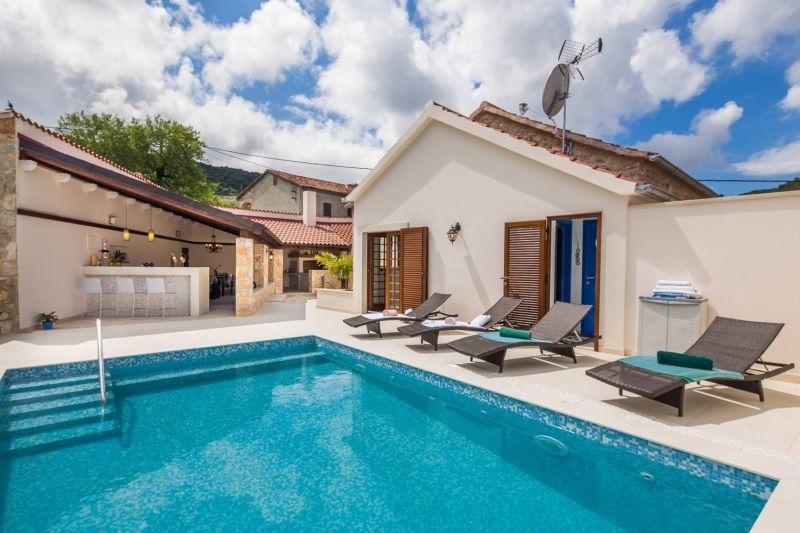 It is actually a traditional Dalmatian house turned into a gorgeous villa. Villa spreads on 400m2. It was originally built in the early 1900 and the adaptation was done in 2013. 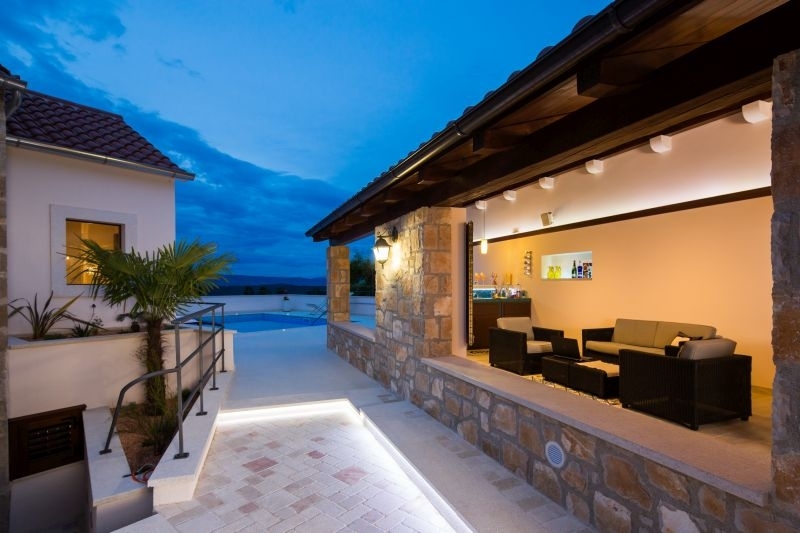 Particularity of this villa is its beautiful outdoor living area where you can find all the amenities that can be found in the interior of the house. 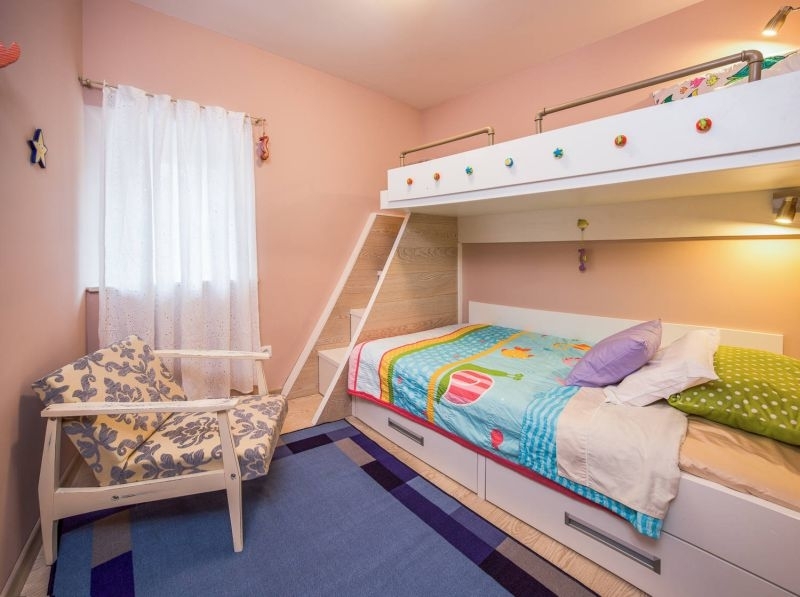 On the first floor there are two bedrooms with large queen beds and one bedroom with bunk beds (120x190 & 90x190). 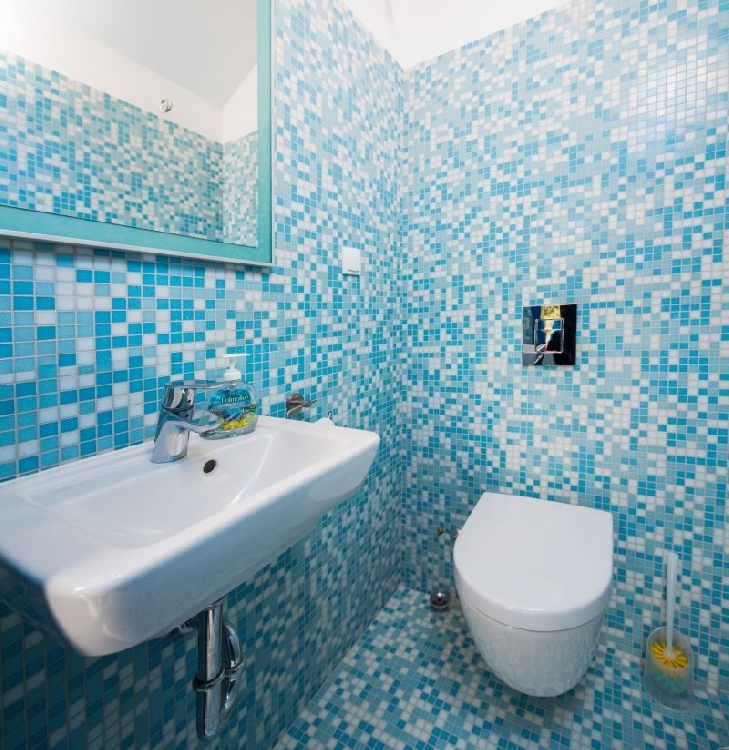 There is one large bathroom on the first floor with double sinks. Each room is equipped with AC and the two adult bedrooms are equipped with intimate RBG mood lighting. 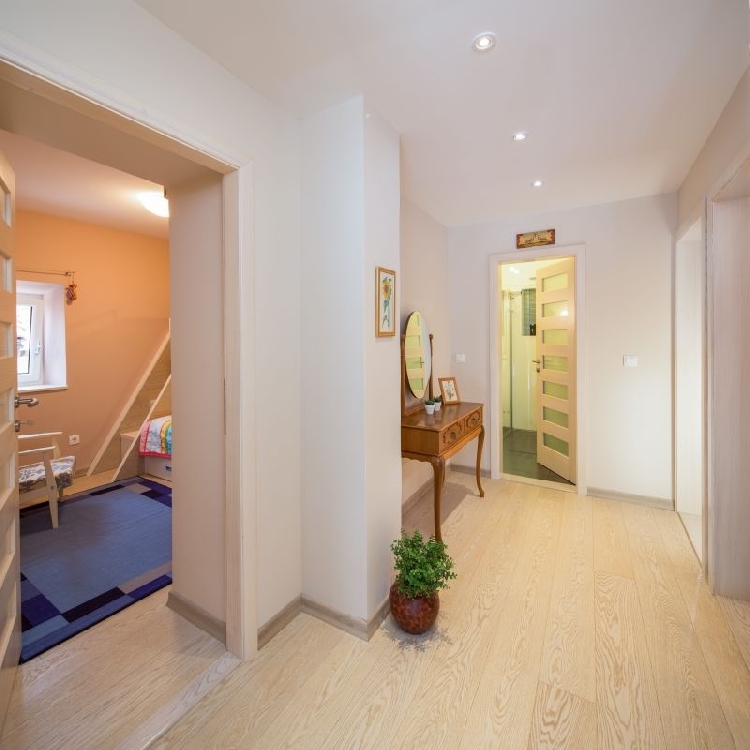 On the ground floor there is a modern, fully equipped kitchen with living room with attached pantry. 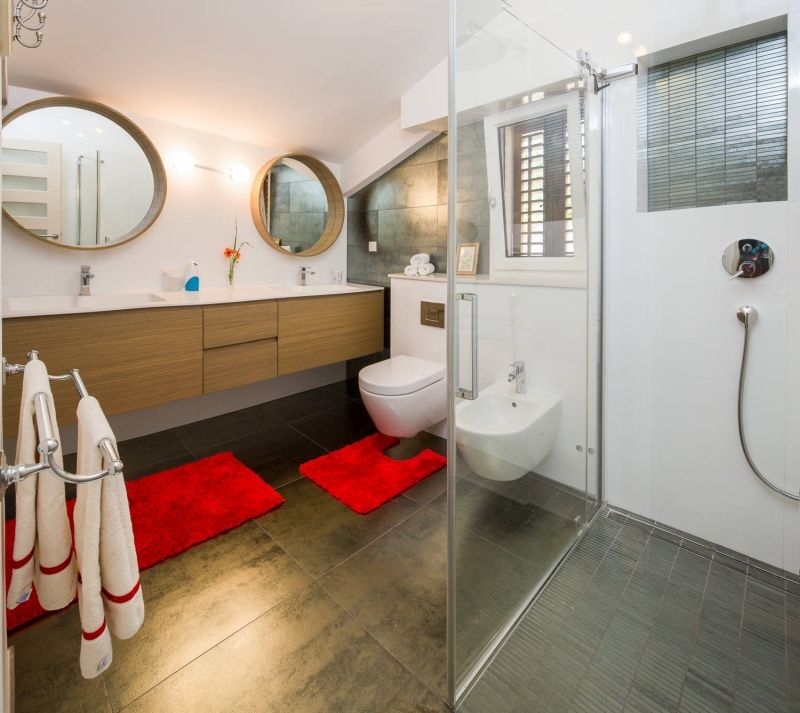 There is also an additional bathroom with shower on the ground floor. 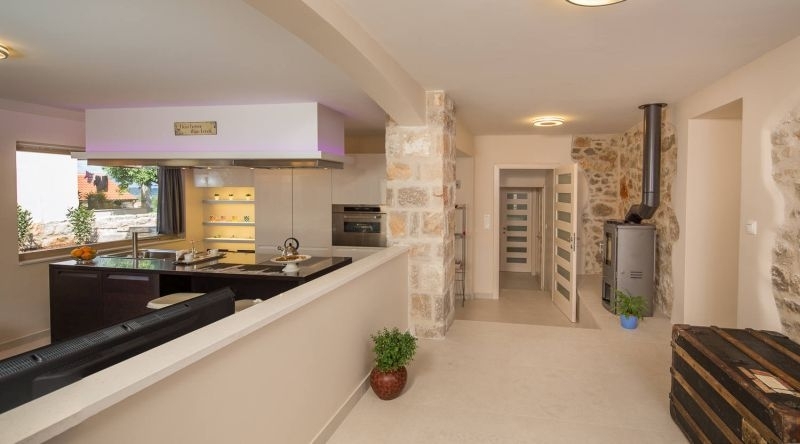 A washer/dryer area located on the ground floor and an underground wine cellar stocked with all the best wines that Hvar has to offer. The wine cellar is a natural “cave” in the stone and is a genuine treat for wine lovers. Separating the ground floor from the first floor is a stairway that also exits to the spacious terrace with Mediterranean garden and swimming pool (6m x 4m). 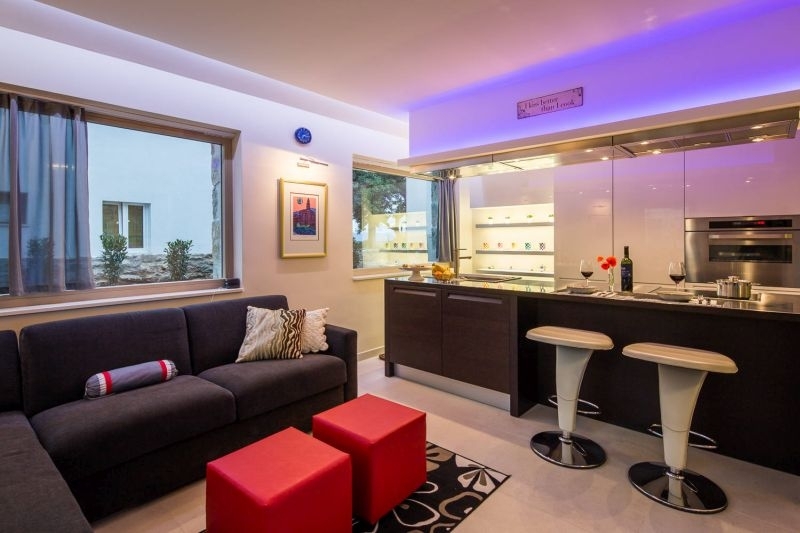 The outside terrace and swimming pool drifts into a sheltered area with a fully stocked bar with wine fridge and ice maker. 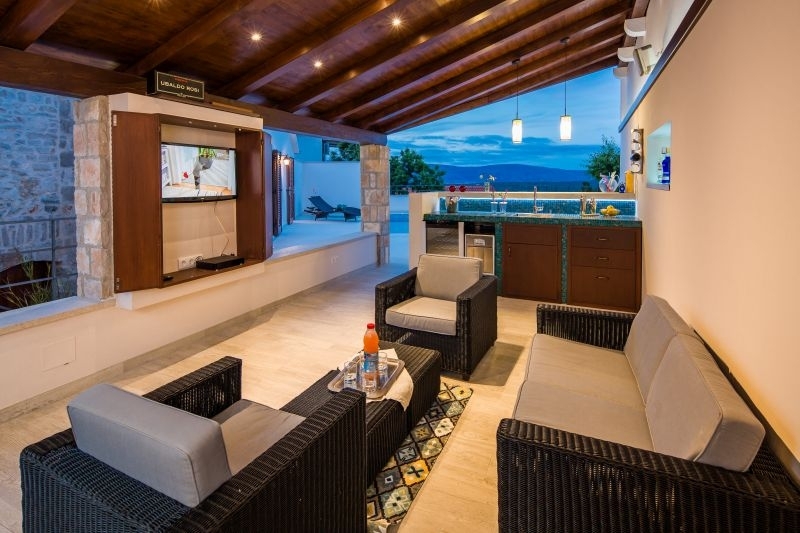 Just past the bar, the area continues on to become an outdoor living room (lounge area) with an additional TV and just beyond that is a specious dining area that seats 8+. 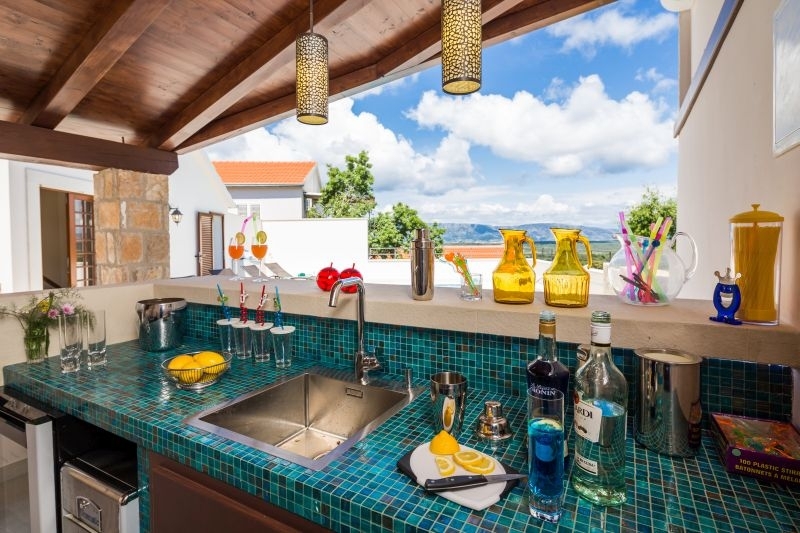 In the same area, there is a completely functional outdoor kitchen with a wood burning BBQ, gas cooker and sink. 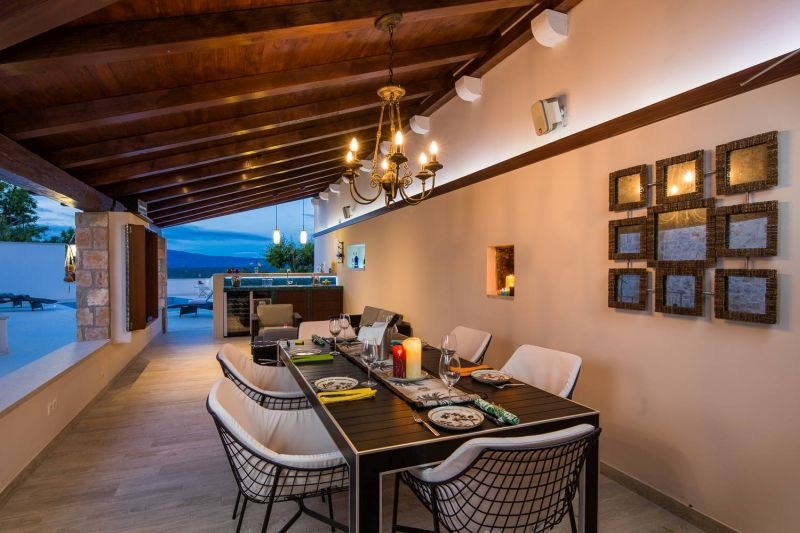 The outside terrace is equipped with a large dining table and chairs plus additional garden furniture, sun beds and everything else that can make your holiday in the sun as enjoyable as possible. The pool is heated and equipped with a jet steam swimming system that allows for aquatic exercise. Gentle, soothing--with no stress on joints or bones--swimming has historically been a favored method for staying in shape. The pool is also equipped with massage jets, RGB lighting for night swimming and a hydrolysis and Cu/Ag Ionization system that treats the water without irritating and harmful chemicals. 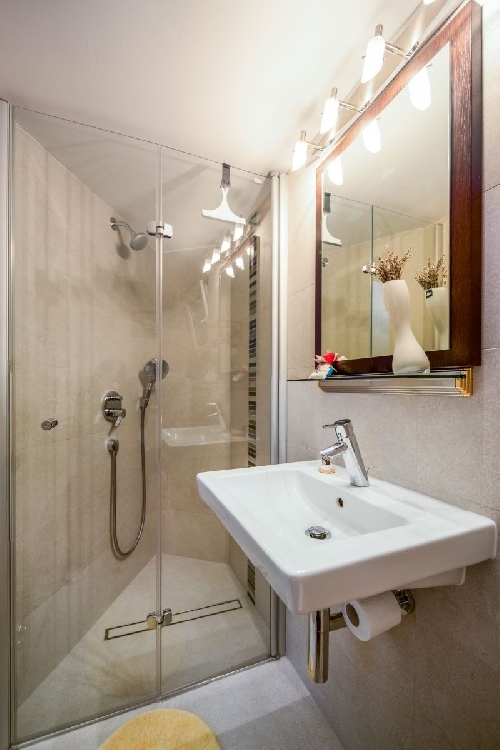 Just off the terrace, there is an additional bathroom with Turkish Steam bath (Hamman) with shower. A Turkish bath is a hot steam hydro-therapy with chromo-therapy treatment which has a miraculous effect on both the mental and physical state of everyone able to enjoy its benefits to the full. A Turkish bath is the perfect remedy for stress and the uncomfortable physiological reactions it can provoke thanks to the soothing and all-round relaxing effect the hot steam has on both body and mind. A Turkish bath is the ideal antidote to all those tensions that build up over the working day, banishing every kind of stress. 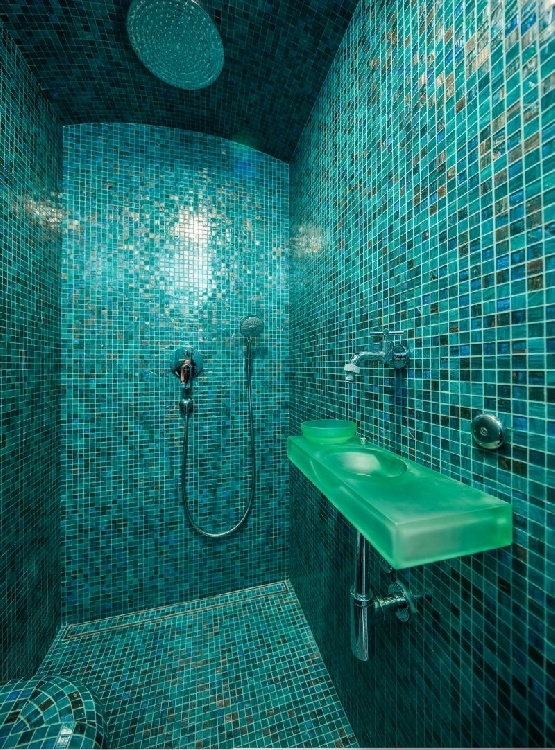 The sense of wellbeing generated by the steam bath is not limited to the psyche. Villa is a place we love indeed. 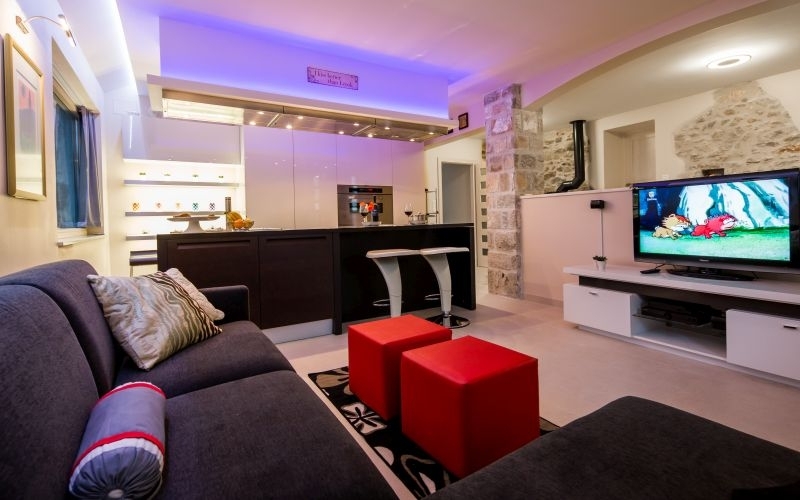 It is ideal for families, friends, lovers, as well as for those still looking for love. Peaceful area, scented and colorful nature, fresh air in a combination with this divine village stone castle can certainly help each and every one of us to see the true beauty of life, often hidden behind the curtain.